David Miscikowski Wins Event #49: $5,000 No-Limit Hold'em ($719,707)! Event #49 Champion David Miscikowski! 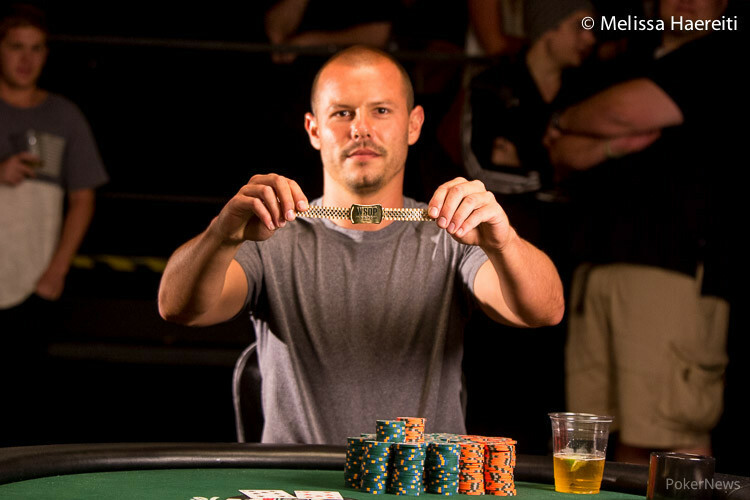 David Miscikowski is a familiar face on the live felt and a familiar name on the virtual felt, but now he has officially cemented his name in World Series of Poker history books by capturing his first gold bracelet. With 11 prior WSOP cashes on his record, this marked Miscikowski's first final table and he certainly made it one to remember. 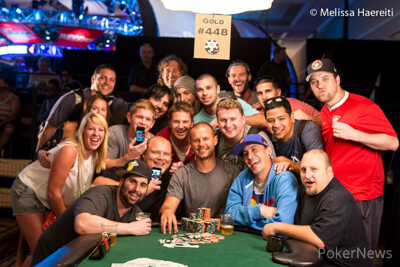 When the final table began on Friday, Miscikowski held the chip lead with about 20% of the chips in play. 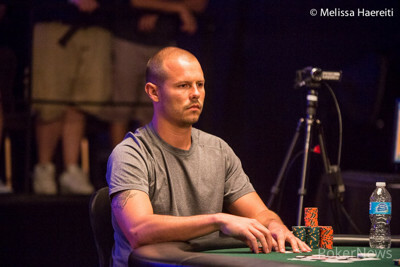 He sat back as Blake Bohn and John Dolan exited in ninth and eighth place, respectively, then added to his own stack by eliminating Jean Gaspard in seventh place. Kevin MacPhee was the next to fall and he was followed to the rail by Oliver Price in fifth place. By this point, Miscikowski had surrendered the chip lead to Norbert Szecsi. Day 3 chip leader Margareta Morris busted in fourth place and after Manig Loeser departed in third place, the stage was set for a heads-up duel between Miscikowski and Szecsi and it was fitting, since the chip lead was never held by anybody else. The two battled for nearly three hours, but it wasn't enough to crown a champion before the players were required to bag and tag for the night. They returned Saturday to close it out and for the first level, it was Szecsi who held the upper hand. However, a break after Level 32 seemed to be just what the doctor ordered for Miscikowski. He trailed slightly at the start of Level 32, but two hands later the tournament was over and all of the chips were in front of him. On the final hand, Szecsi shoved on the button for about 24 big blinds with . Miscikowski called from the big blind with and help up to secure the victory. Congratulations to David Miscikowski on his fantastic achievement and thank you for following our coverage! Norbert Szecsi shoved for 3.865 million on the button and David Miscikowski called from the big blind. The flop fell , no help to Szecsi. The turn left him with only two outs to keep his hopes of capturing a second gold bracelet alive, but the river was not one of them. Szecsi finished in second place for $444,425. David Miscikowski limped on the button, Norbert Szecsi checked his option and the flop came down . Szecsi checked to Miscikowski who bet 225,000. After a few moments Szecsi check-raised to 575,000, which Miscikowski called. The fell on the turn and Szecsi came out swinging with a bet of 925,000. Miscikowski called, the river completed the board and both checked. Miscikowski tabled for tens and deuces, besting Szecsi's hand to collect the sizable pot. Norbert Szecsi limped the button, David Miscikowski raised to 320,000 from the big blind and Szecsi called. The flop fell and Miscikowski continued for 350,000. Szecsi called to see the turn which both players checked. The river completed the board and Miscikowski fired 1.075 million. Szecsi folded quickly. Norbert Szecsi raised to 250,000 on the button and David Miscikowski called from the big blind. They checked to the river of a board where Miscikowski bet 325,000, which Szecsi called. Miscikowski showed for eights and sixes, but Szecsi turned over for queens and eights to win the pot. Szecsi checed to Miscikowski who bet 200,000. Szecsi called, the hit the turn and Szecsi check-called 525,000 from Miscikowski. The river completed the board and both players checked. Szecsi announced that he had two pair, but Miscikowski tabled for the best two pair on board to win the pot. Norbert Szecsi raised to 250,000 on the button and David Miscikowski called from the big blind. They checked to the turn of a board where Miscikowski bet 350,000. Szecsi called and both players checked the river. Miscikowski showed , but Szecsi took it down with for a pair of threes. Szecsi vs. Miscikowski For the Gold!